So yeah yeah yeah, I’m a few days behind on the Photo101 challenge and am totally out of synch with the topics. What can I say, I’m a creative type. Orderly fashion is for boring people. Anyway, back to the photography topics I am trudging my way through. The theme: Big. 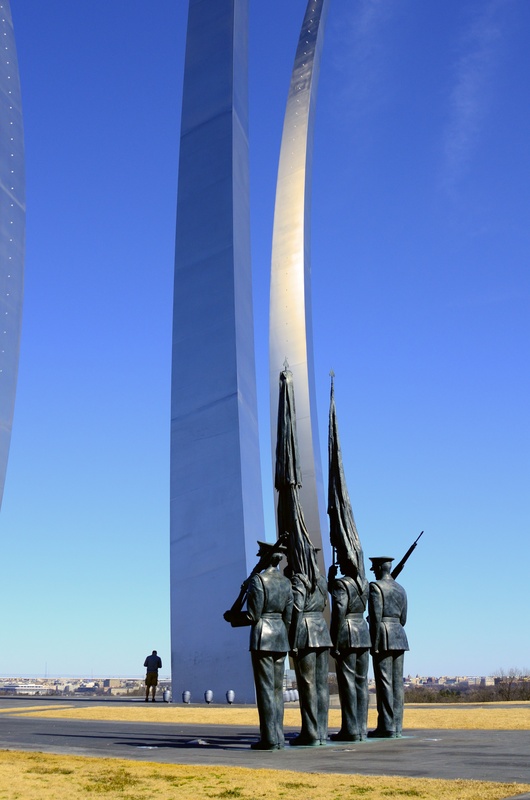 The photo: The Air Force Memorial in Arlington, Va. Today was actually the first time I’ve been there, even though I drive by the memorial regularly. I was hoping to capture the size of the structures, which was quite difficult with my lens and the area, I simply couldn’t find a good place to put myself that would help me illustrate the magnitude of the memorial. Laying on my back and shooting up didn’t really do much for me either. So, here is my attempt to communicate “big”. At first I was annoyed with the guy checking his phone but now I’m glad he was there, I think it’s a nice comparison of size.